→ #MicroblogMondays 35 linkup here! Life is what happens when we are busy making plans, or so I have heard. Really nice post here, no maybe about it. That’s the way it so often is. There are too many things that have passed me by because I was waiting for that right time. Sadly it often doesn’t come and the opportunities are lost. I made excuse for a long time, many sound similar – but now I am just doing it! A little work here and a little work there and eventually, it is becoming – something. 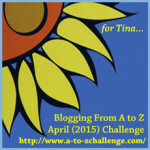 April recently posted… A Simple Truth: Why Do We Keep Doing What Doesn’t Work? Great attitude, April! That’s what we all need to do. Thanks for stopping by! Haha ! Story of my life. Unfortunately that day never comes 🙂 Well-written. Life’s questions answered in when and then. I found the take very interesting. Another co-incidence. 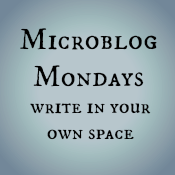 My microblog monday also talks about too many Whens. Thank you! I will check out your post! You’re welcome, Cat! I think we’ve all been there. This is the story of most of our lives, unfortunately!! Thanks for a reminder to shake things up! This is the human condition, Laurel, and so relatable! I know what you mean, Francene! Hello, neighbor across the Detroit River! 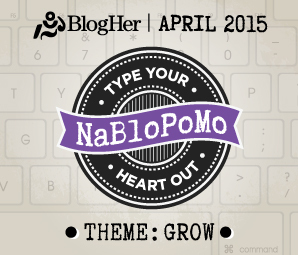 I came here from NaBloPoMo’s Blogroll page. 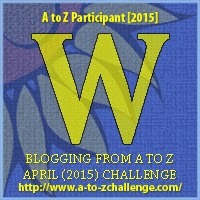 I saw your blog listed at the start of this month, stopped by once, then moved on when I saw a shinier object. This time, I looked at your list of topics and read health, politics, and Windsor Ontario. That last is what finally got my attention. I’m over in suburban Detroit and blog about science, technology, environment, politics, and culture from the perspective of Detroit, Ground Zero of the Post-Industrial Future at Crazy Eddie’s Motie News. I share with you the experience of moving from the Pacific Coast to the Midwest, having grown up in Los Angeles. Pleased to make your acquaintance. Very nice to meet you – so glad you stopped by, and thanks for commenting! Always great to discover other bloggers in my neck of the woods (even when they’re in the next country! ).